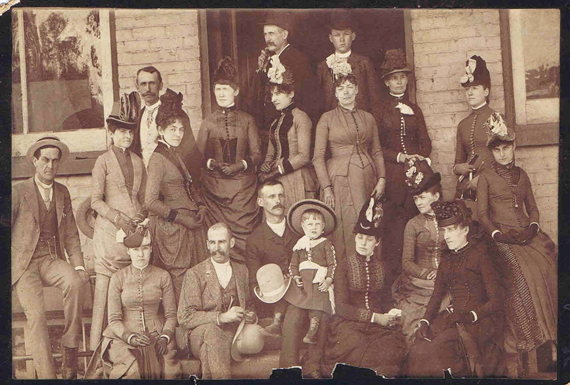 A group picture of a party which had just returned from a river trip to Cincinnati, 0. on the "Fashion." On the return trip, the packet could not get above Martin's Ferry due to low water. The group came back to East Liverpool on the train. They enjoyed their trip so well, they decided to have their picture taken on the Thompson House steps.